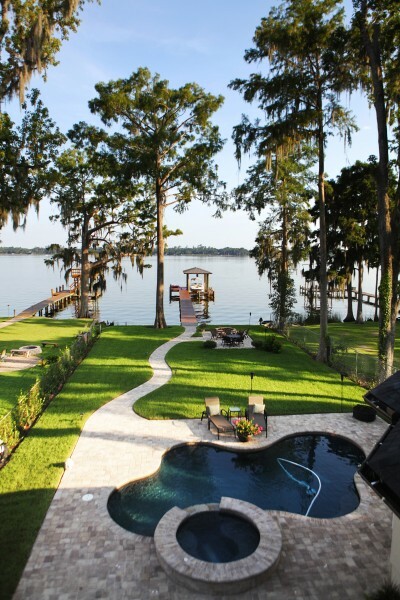 Dreambuilder Custom Homes is thrilled to announce the completion of Dreambuilder Four, a custom home built on a scenic riverfront lot on Doctor’s Lake in Orange Park, FL. Designed at 3290 square feet, the final product covered 4230 square feet of conditioned space as 940 square feet of bonus area was finished out. The five bedroom, three and one-half bath home includes a three car garage, media room, dramatic staircase and river views from several rooms. 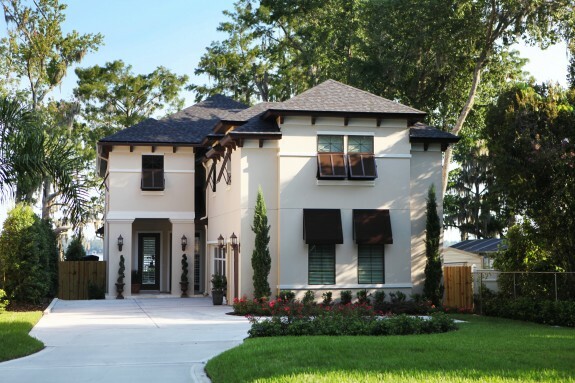 Dreambuilder Custom Home is proud that the owner, Michael Lilly, chose Dreambuilder to construct the home, since he is a builder himself, serving as Jacksonville’s division president for a national production homebuilder. Due to certain constraints, Mr. Lilly was not able to build the home himself, and turned to Dreambuilder to help. The project began as a “tear-down” of the original, small, concrete-block home. The original dock, in disrepair, was demolished and replaced along with a new bulkhead and boathouse. In just six months, from ground-breaking to completion, the home was constructed, bringing new life to the well-established neighborhood. The covered porch, pool, spa and pavered walkways complete the integration of indoor/outdoor living space — all with an eye to the river. Hardwood floors, custom cabinetry, commercial grade appliances and a wrought-iron staircase are just a few of the many amenities in the home. Many features and details had to be intricately managed to ensure quality while maintaining budget and the construction schedule. You can read more about the new home and see a gallery of photographs in our Dream Home Gallery, and you can see a progress pictures, beginning with site clearing, on our Facebook page. You can also find out more in our previous post on this project. 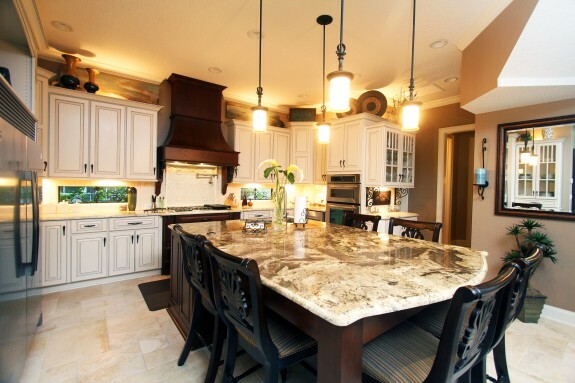 Dreambuilder Custom Homes can help you design and create the custom home of your dreams, whether large or small, so you can live the life you’ve always wanted. Contact us today!